You will also enjoy our special weekly inserts. 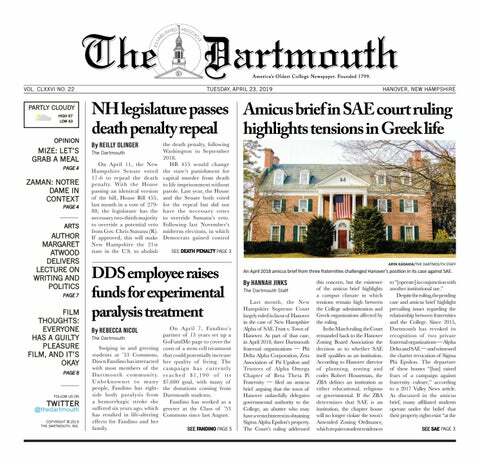 The Dartmoth Mirror (Fridays) is your portal to Dartmouth student culture, while the Sports Weekly magazine (Mondays) provides comprehensive coverage of all the action on the playing field. Have questions? Please call us at (603) 646-2600, or send us an email at business@thedartmouth.com.